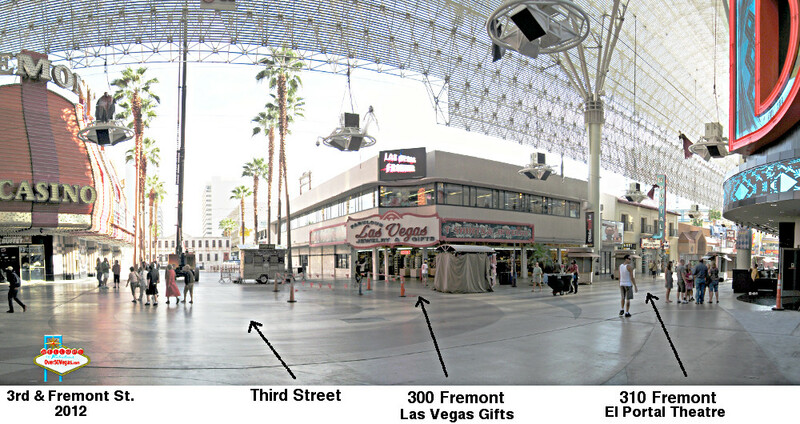 Below is a photo I took of the 300 block of Fremont street in 2012. This area had several important non-gaming businesses in the past. Today one of the most famous places is still there thanks to folks who saved and restored the building. 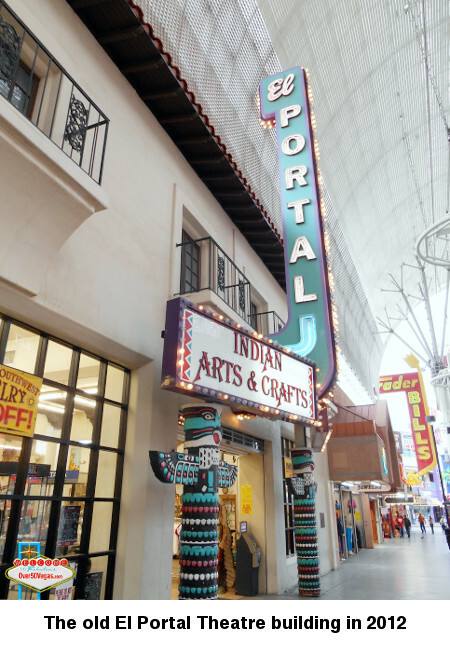 a major hub of family entertainment in early Las Vegas. 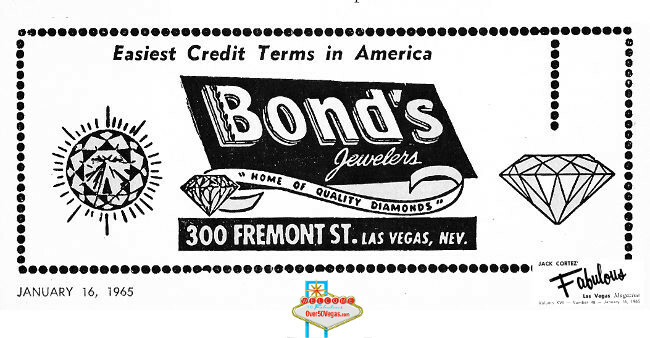 Bond's Jewelers was around for many years. It was located where the gift shop is located now. 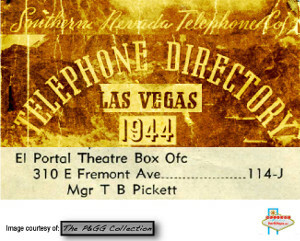 an ad from 1965, a phone book listing from 1944. 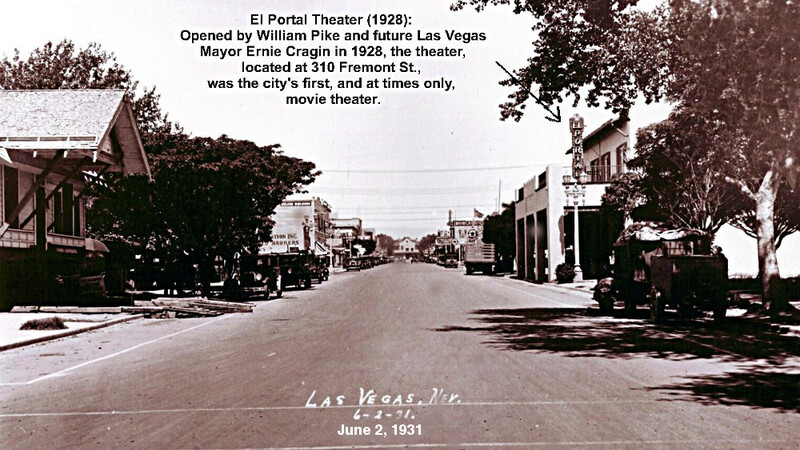 El Portal is showing the "Severed Arm" and the "Killing Kind" ! 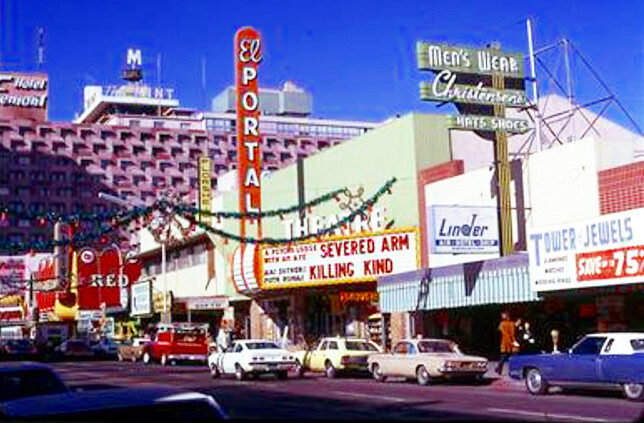 The sign you see in the photo is the same one you see resting in the Neon Museum above. Down the street is the Red Garter, The Fremont, and The Mint Tower.